The last Full Moon of 2018 happens in the sign of Cancer on December 22nd, 2018. Here I'll share my take on the energies of this Full Moon, including my intuitive insight for what's going on in the cosmos (astrological influence) and wisdom from the Major Arcana Tarot Card aligned with this zodiac sign + the card aligned with this part of the Universe, so you can leverage this collective energy and move thru this phase with greater confidence, prepared and aligned with the vibes! We’ve got some lovely moonbeams with this final Full Moon of the year in the sign that the Moon Goddess herself rules, Cancer. A flowy homecoming kind of vibe that reconnects us to our literal home and family, what is familiar and comfortable. With a complimentary connection to liberator Uranus, this Moon helps us be more flexible when it comes to mending broken hearts and reuniting with those we love in ways that move us beyond the status quo. A breakthrough in healing our closest bonds is possible. This is emphasized by the 0 degree marker that this Full Moon activates… Amplifying that energy of pure possibility for greater healing, emotional security and deeper connections with those we love most. Serving as a yet another primer for us as we head into 2019, we get the opportunity to take a mature approach to truly loving - ourselves and others. This influence is a fortunate one, a guiding light that reveals to us how much we’ve grown and can now reap the rewards of all the hard work we’ve done all year, in our work and relationships. We may see the benefits reflected in the twinkling eyes of our beloveds, reminding us of the very reason we have committed to working so hard ourselves — what truly, madly, deeply matters to us on a Soul-level. These favorable, gentle and sweet Full Moon vibes are supported by the 2 of Cups, that aligns with the 1st Decan of Cancer. All in the Name of LOVE. Love is on our minds, in our hearts and all around. We may want to spill our guts and let ourselves be vulnerable with a partner and need to feel safe in doing so. It’s all about UNconditonal love now. And we are wise enough to recognize it because we have experienced the kind of loving that comes with conditions and restrictions in the past. We may find it easier to forgive ourselves and others at this time, when we allow our emotions to flow without trying to control them. Notice the free-flowing water depicted in the Tarot Card above… this love wants to move us from deep within and be shared with another. As with all Full Moons, our emotions will be heightened. And this time around our intuition is enhanced, too. It’s all guiding us toward pure love. It’s really getting us in touch with the power of Love. Cancerian vibes during this Full Moon phase connect us more directly with our intuition and empathic side. Revelations may appear through emotions and our bonds with others. We may simply feel something that brings a sense of clarity or an answer we need. Allow yourself to be vulnerable and share your feelings and the response you receive from that could serve as a clear sign. Signs may be prevalent in your home and most familiar surroundings… gentle signs of that you are loved, watched over and cared for may show up in the most usual places. Start the New Year with an edge! 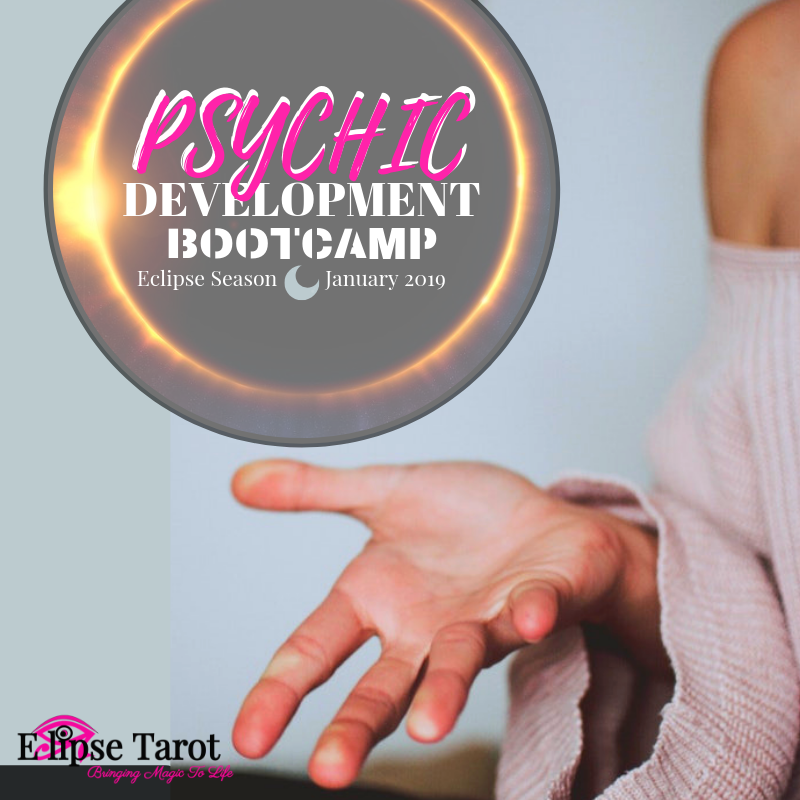 Psychic Development Bootcamp is a 21-day program to super-charge your psychic powers during the Eclipse Season. Learn More here. Get In Touch With Your Psychic Senses & GLOW For It in 2019! Channeled messages. Glowing Insight. Special offers, Exclusively for Lumis! 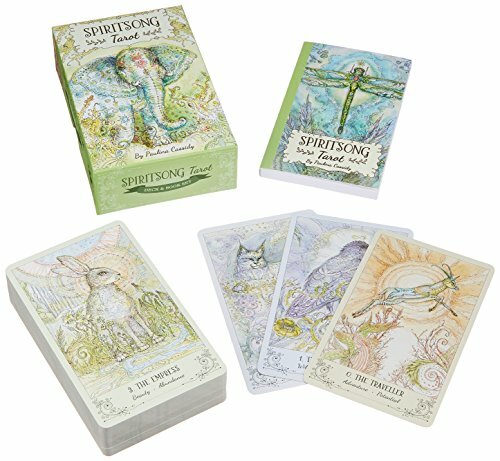 By entering your info here you agree to receive emails from Eclipse Tarot. You can unsubscribe at any time. We deliver only Love & Light and all things Bright… and spam is NOT one of those things! We respect your privacy. We will never share or sell your information to anyone for any reason at any time. Thank you for joining the illumi-Nation! Feel free to reach out to me with any questions or concerns you have.